Hacking the Lightbulb – How do wheelchair users change a lightbulb? Last month some of our students attended a Hackathon in central London. One of our students, Zamira, tells us about the event. On February 23, several of students from Loughborough University London headed towards Kings Cross with a mission! 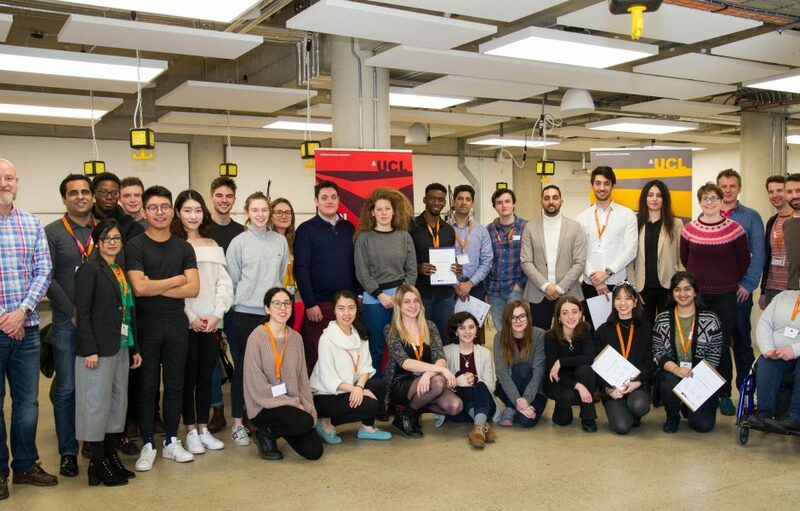 Along with the Global Disability Innovation (GDI) Hub, three leading London based universities (Loughborough University London, UCL, and UAL) came together at UCL’s Innovation and Enterprise BASE KX for a social change driven hack- The Light Bulb Hackathon. During the two-day hackathon we attempted to come up with commercially viable, practical, and scalable solutions for disabled people using a wheelchair who need to change a lightbulb. On the first day, we formed groups of 4-6 people based on diversity of skills and started brainstorming our solutions. We created a business canvas, sketched actively and made draft prototypes from anything that was laying around the hub. As the deadline for submissions was Saturday morning, we had to progress through our planning stages quickly while also taking advice and guidance from the mentors assigned to us. Along with hacking, we also had a chance to attend several presentations covering subjects like “Accessible design”, “Social Investment” and “Pitching”. Due to limited time constraints, we could not attend all sessions but divided them among the group members for all topics to be covered within our team. On the second day of the Hack, we all submitted our business ideas through our pitches. Two teams with the most innovative ideas and long term social values were selected to be the winners of the Hackathon. Each winning team had a Loughborough University London student involved so our mission to achieve innovation was accomplished! Though I wasn’t in the winning team, I was not demotivated at all. I didn’t win the competition, but instead I won connections, gained experience, hacked with purpose, and left the event more passionate than when I started. 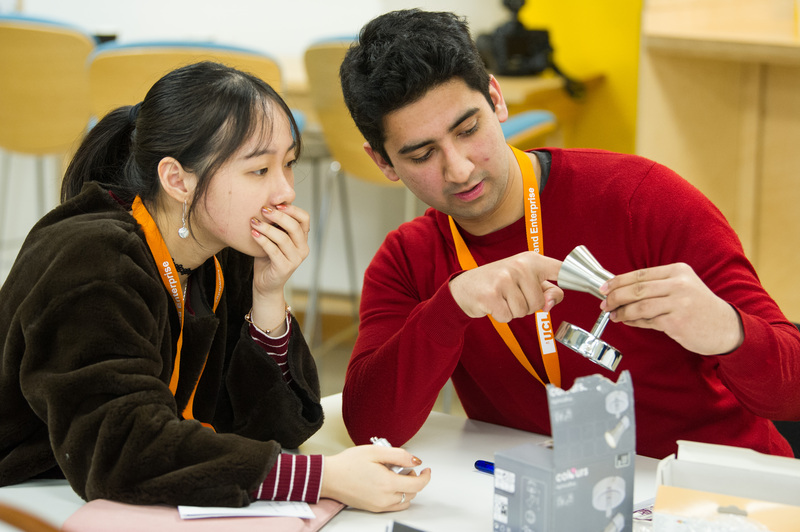 Special thanks to staff from Loughborough University London, UCL, and University of the Arts London for their valuable support and guidance throughout the whole hack! “The hackathon was a truly enlightening and valuable experience. It has changed my perspective a lot and made me empathize better with individuals that are disabled. As a designer, it has helped me realize the need to be inclusive in my designs going forward. My team and I are pleased with what we have achieved in such a short period of time. We are pleased to be the runner-up of the competition and looking to invest the prize money in a meaningful way. “The Hackathon was truly a memorable experience. My team was a runner-up, but I learnt so much – I learnt that every team needs to have a communicator, a critic, constructor and creator to thrive. Each person’s experiences and skills are valuable resources, as they complement each other. The experience has helped me to further develop my problem solving skills and to come up with a technically viable solution and 3D Video given within the time constraints. I also enjoyed networking with UCL and UAL students. Thank you Zamira for your wonderful blog! For future hackathons and other events, check out our events page.